I saw this appear on Steam a couple of weeks ago. It looks like Simon the Sorceror 1 & 2 are the latest to hit the “remaster” train, although from reading the Steam comments it sounds like they’ve just bundled scummvm with the original files and added a graphics filter and a menu. I thought it might be interesting if instead I shared an idea of what computing was like 25 years ago when I first played this game. It was the March 1993 edition of CU Amiga magazine where I first saw this game. They had a 2-page Work In Progress spread spilling what details they had about the game, including some gorgeous screenshots, one of which was Simon shrunk down in a garden. These were the days when standard games had 32 colours on-screen (in entirety, including the verbs and inventory), but this game was also going to have an “AGA” version, which meant it would have a palette of 256 on-screen colours thanks to the A1200 having the Advanced Graphics Architecture chip on the motherboard. I preordered the game immediately. “Immediately” in those days meant flicking to the back of a computing magazine to the adverts, ‘phoning up a company, getting them to post you an order form, waiting for it to arrive, filling in the order form and writing out a cheque, then posting it back in an envelope to them. It was due to be released around 24th Sept 1993 according to the mail order company, and I waited by the mailbox. As it turned out, for months, because the release was delayed, as they always were in those days, but there was no way of finding out when it would actually arrive, and it didn’t until Christmas Eve. What a Christmas that was! I had to get my computer out from a box behind the sofa every time I wanted to play on it, because it plugged into the back of the main TV in the house. I’d have to sit on the living room floor playing because the mouse cord wasn’t very long. Because it was Christmas, the family watched more TV, so at one point I had to migrate to the dining room table and get the old portable black-and-white TV out of the wardrobe. I remember playing it in, ironically, 256 glorious shades of grey on a 10” screen. When I was able to play on the colour TV, the game was beautiful. Not as beautiful as the PC version, because that had more colours and didn’t flicker, but beautiful all the same. I got stuck for weeks because I didn’t know there was a trapdoor in the Swampling’s house (lol at using a spoiler tag for a game 25 years old), so I had to wait until I could get a bus into the city so I could see if I could find a walkthrough in one of the PC magazines. Luckily there was, and magazines weren’t trapped in bags in those days, so people would stand leafing through them in the shop. Here’s the CU Amiga review from the Feb 1994 edition (which was in shops at the end of January). Check out those comments about the problem of swapping the floppy disks That really was a nightmare btw for Monkey Island 2 and Indy & Fate of Atlantis - I remember every time you got the orichalchum-detecting fish out of your pocket, the game would freeze and you would have to swap to disk 5, then 7, then 5, then back to whatever disk was in beforehand before it would play the animation. This was the reason I upgraded my computer to have a hard drive the year after. I spent all my money and bought one which was 180MB. The operating system drive was about 7MB, because it came on 1 double-density floppy disk (880KB) and I wanted to have some extra space on there in case I needed it. Here’s the official trailer for the 25th Anniversary edition, which I’ve linked to from youtube, because nowadays we all have free access to a video-hosting website that’s streams content direct to small widescreen high-resolution screens wirelessly on the bus ride into work. If you don’t fancy playing it, you can just watch a Let’s Play on youtube of some random person playing it in their bedroom, since anyone can make a worldwide broadcast at the click of a button. Remastering isn’t really a new concept at all. Sierra for an example did a lot of remasters of their old titles. Larry 1 had a VGA release in the 90’s, King’s Quest 1 was released with higher resolution EGA graphics with then new SCI engine, Mixed-Up Mother Goose had several released, starting from an AGI release in the 1980’s with the latest being from the 90’s containing CD audio and SVGA graphics. Lucasfilm games did similar releases, like with Maniac Mansion for PC, that was originally released with low-res graphics and later upped into higher resolution version that is more familiar to most people. And this doesn’t really even take account the different graphics mode releases that came out simultaneously for several games. As the disk space was expensive, games were often released with separate VGA or EGA packages. I’m currently replaying it and was kind of stuck, as it turns out, right at your spoiler. Why I clicked on it is a mystery. For my part I saw some screenshots in a PC gaming magazine, fell in love instantly, bought it in a store as soon as it was out, spent a few days installing it (10 or so disks, many problems, those were the days). Then I spent weeks playing it, getting stuck on a number of occasions, and probably cheating a few times using a “minitel”, which was the Internet’s ancestor in France and was quite expensive and therefore very much parents-controlled. I still love it to this day. I had a look around on the floppy disks after I’d finished the game for the first time, and discovered that the dialogue was stored in almost plain-text files. I played a prank on my friends by editing the names of the two demons Belchgrabbit and Snogfondle before I lent them the game, so the demons had my friends’ nicknames. They couldn’t believe it! It came on 10 disks but there was nowhere near enough swapping as with Monkey Island 2 and Indy Jones + Fate of Atlantis, which IIRC both came on 11 disks? Certainly for the Amiga versions. 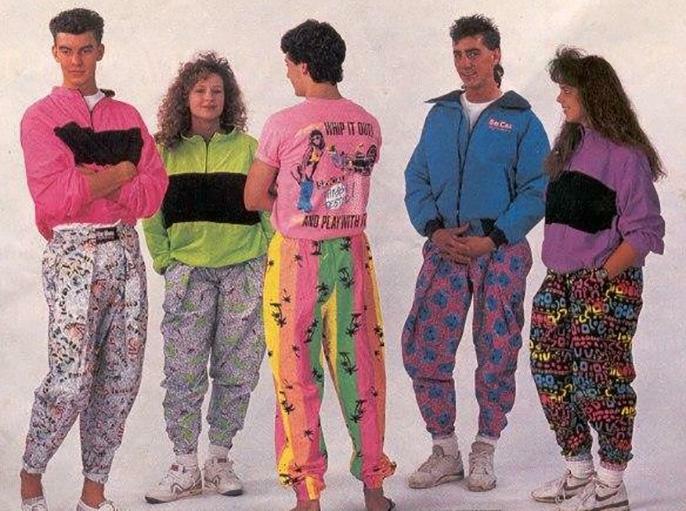 And remember kids, if you want to get the full “as played in 1993” experience make sure when you boot up the game you have Vanilla Ice blaring in the background and are wearing these clothes! One of my favorite Amiga adventure games. I got it on CD and it was the best for its time. Great voice acting as well. I would replay it but sadly my Amiga and all its games are long gone.